The name Zuzu is in reference to my dog Cece, and everyone knows a vehicle needs a name. I spend a lot of time in California, USA due to my business, felt it was time to get a state side vehicle. Using California as a base for a pan-american adventure. 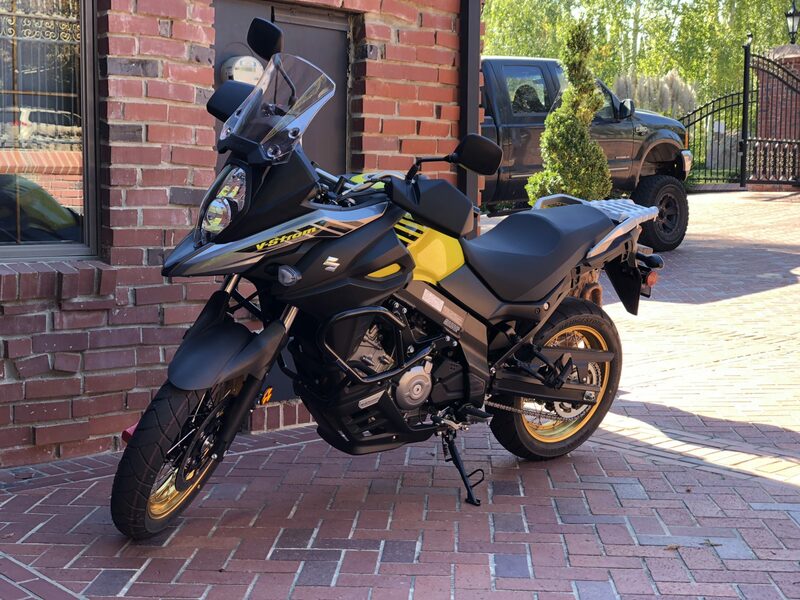 After a lot of back and forth, i finally pulled the trigger on a brand new 2018 Suzuki V-Strom 650xt. 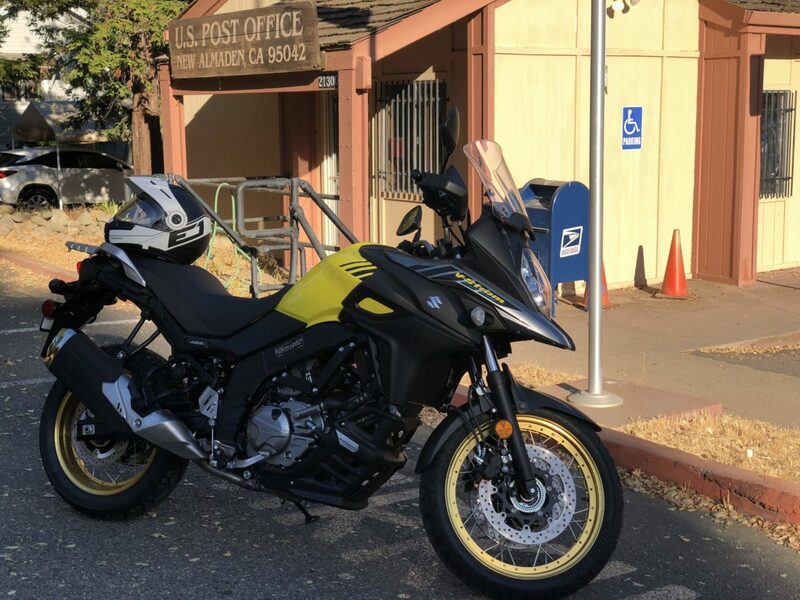 It’s a California registered bike, doing the paperwork as a non-US citizen was no problems at all. 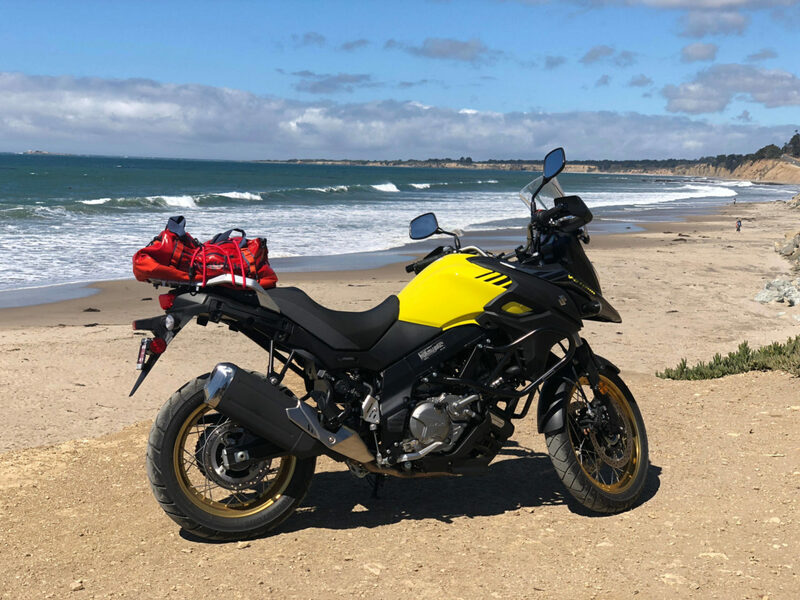 The Suzuki V-Strom 650 is famous for it’s reliability, and in 2017 it got some upgrades. The alternatives for me was the Kawasaki KLR 650, also a splendid bike. But i got a good price on this Suzuki V-Strom 650xt. The advantages with Zuzu over a KLR 650 is the electronic features, ABS, traction control and fuel injection. It gives me some peace of mind and fuel injection get’s way better fuel economy (Also way more power, Zuzu har 70hp which is more than enough). Suzukis “xt” model also gives it spoke wheels and some other small goodies. The goal is to make Zuzu as usable as possible for a pan-american trip, set to start December 2018. SW-Motech crash bars (SW-Motech website). SW-Motech Adventure rack (SW-Motech website). SW-Motech Trax Adventure Aluminium top box (SW-Motech website). SW-Motech EVO carrier (SW-Motech website).